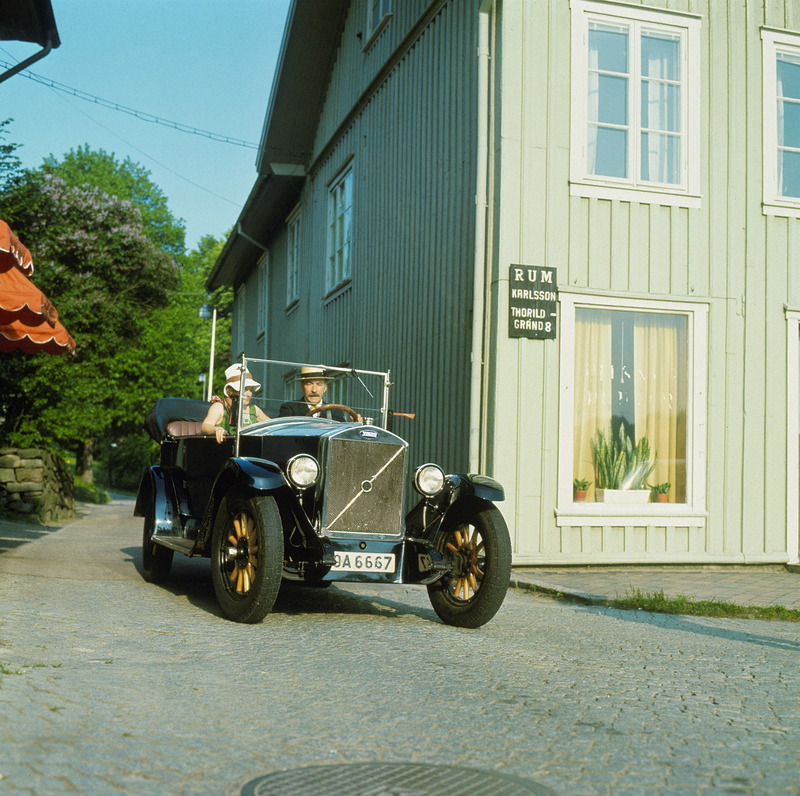 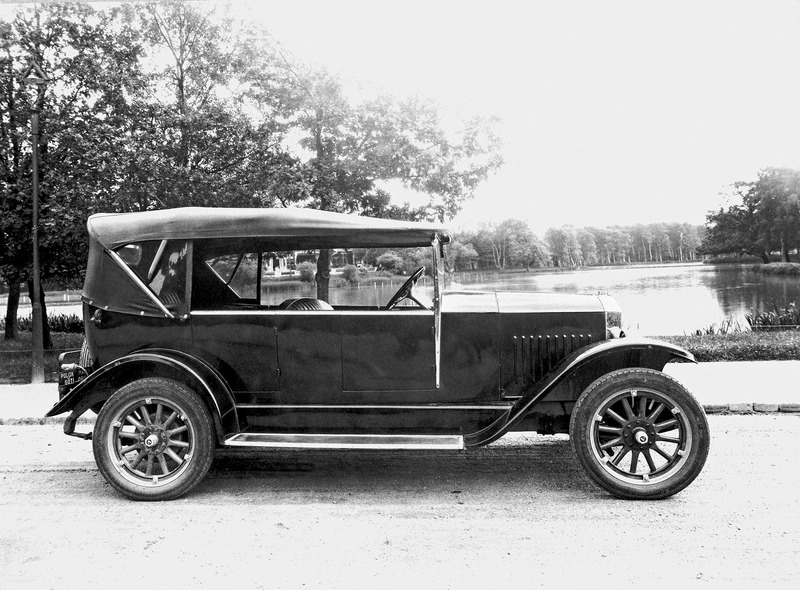 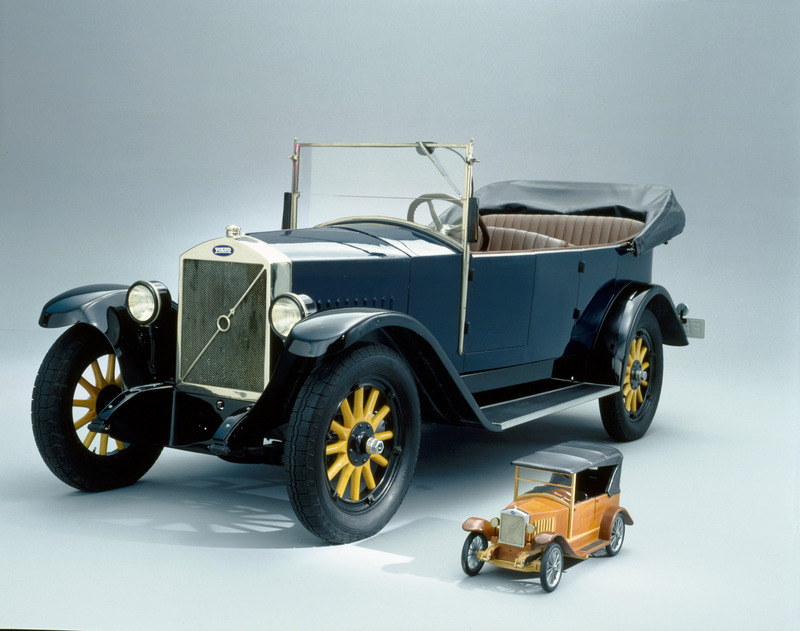 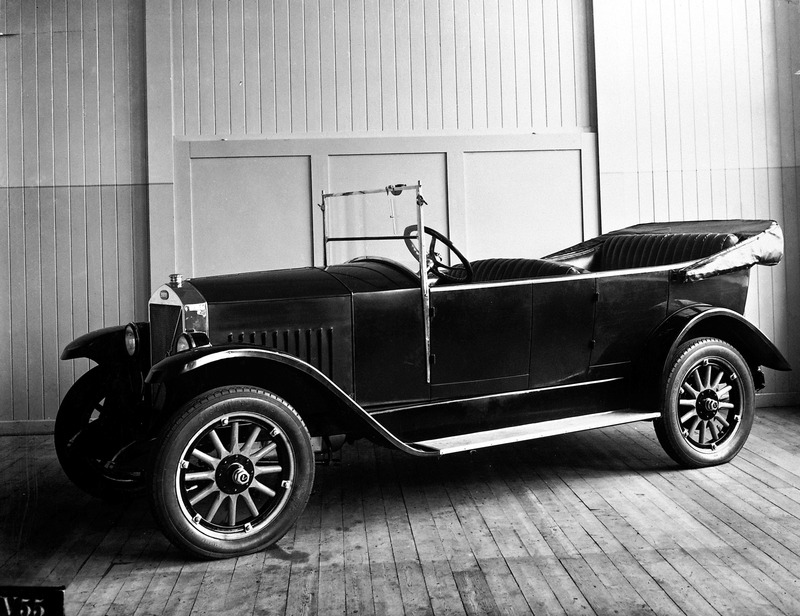 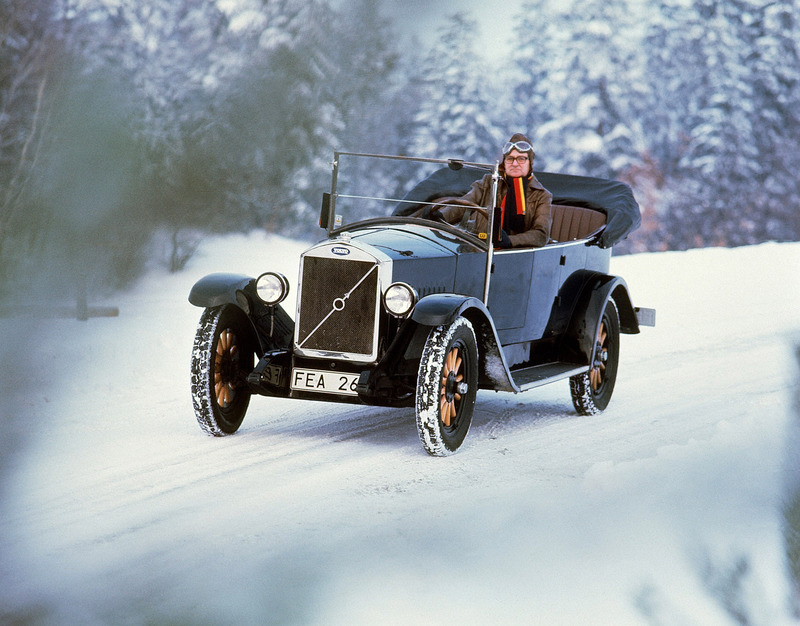 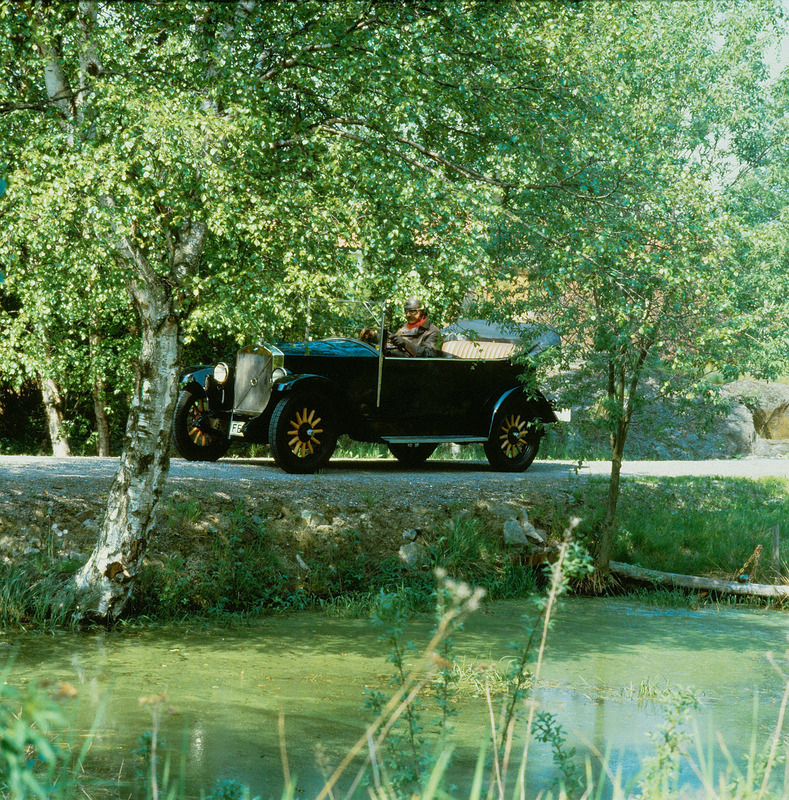 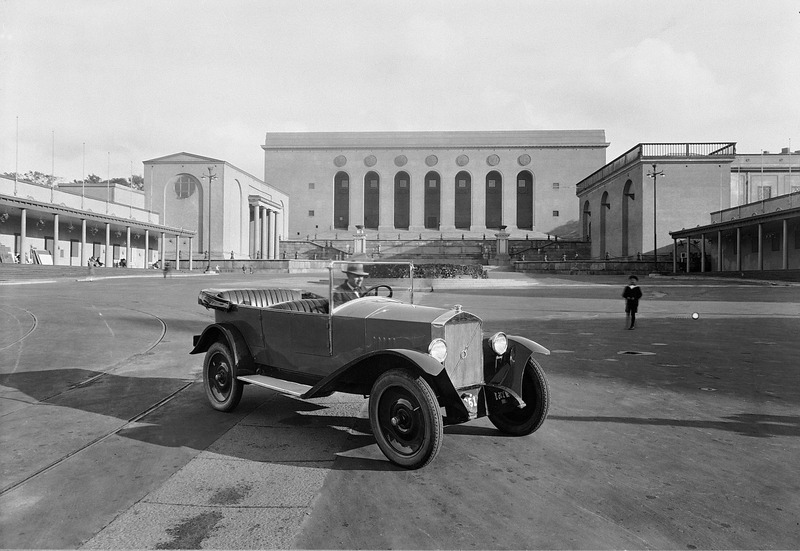 The first series-produced Volvo car left the Lundby factory on April 14th 1927. 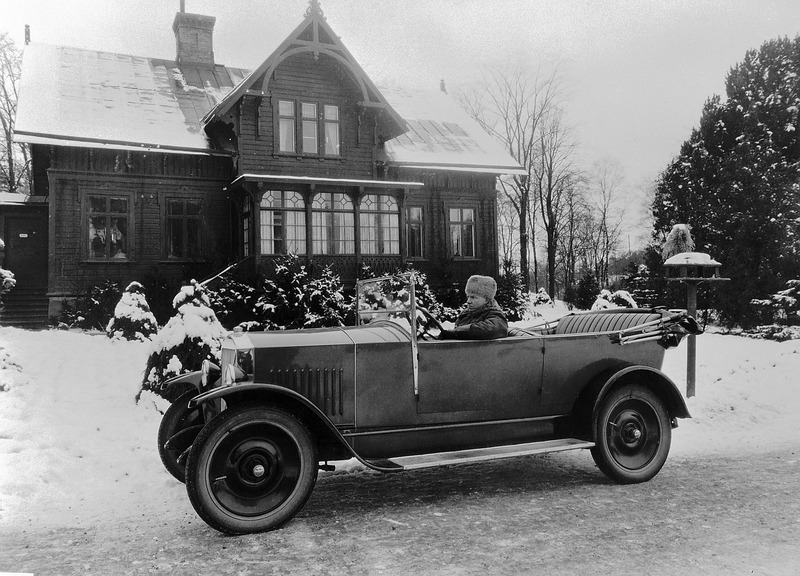 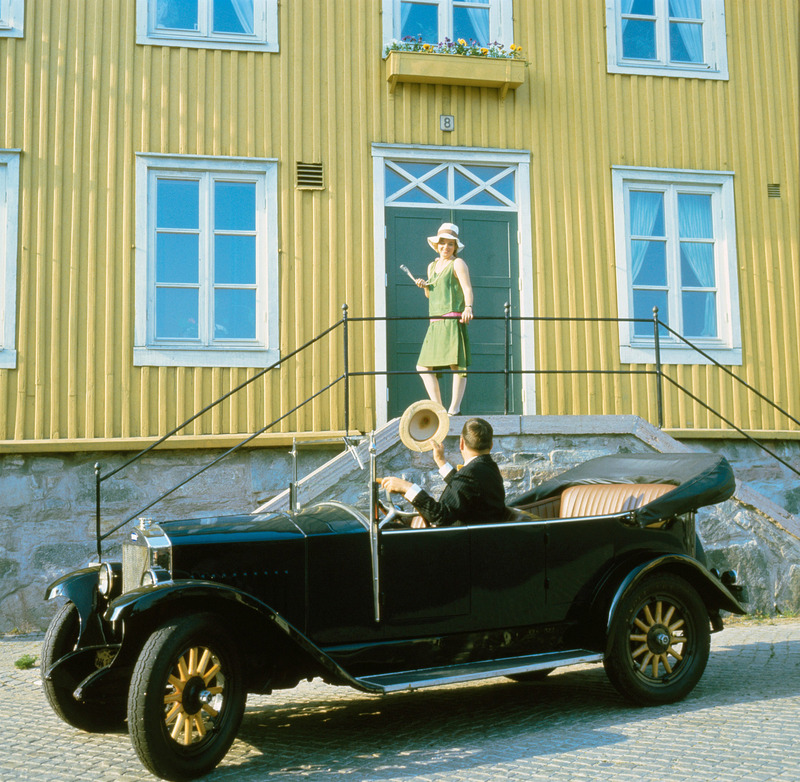 The designation for this old-fashioned open car with 4 cylinders was ÖV4. 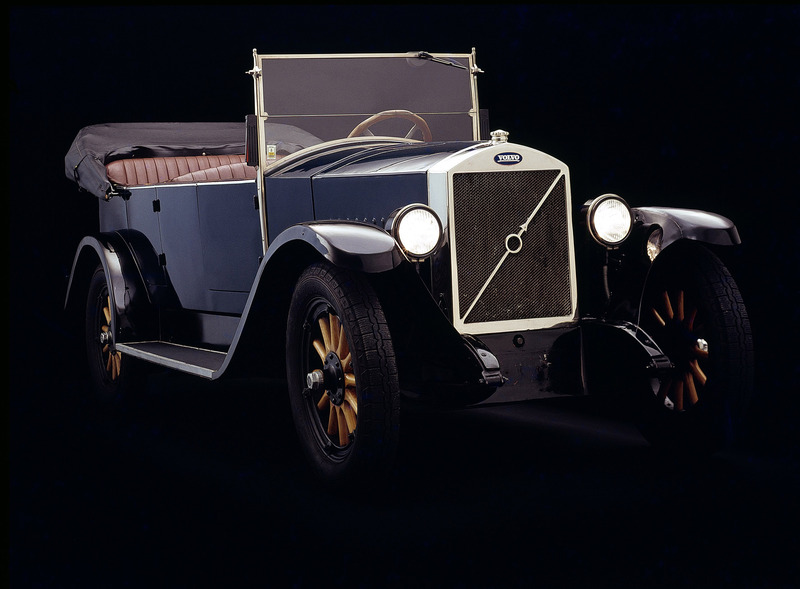 The body was built on an ash and beech frame, covered with sheet metal and was only available in one colour combination, dark blue with black wings. 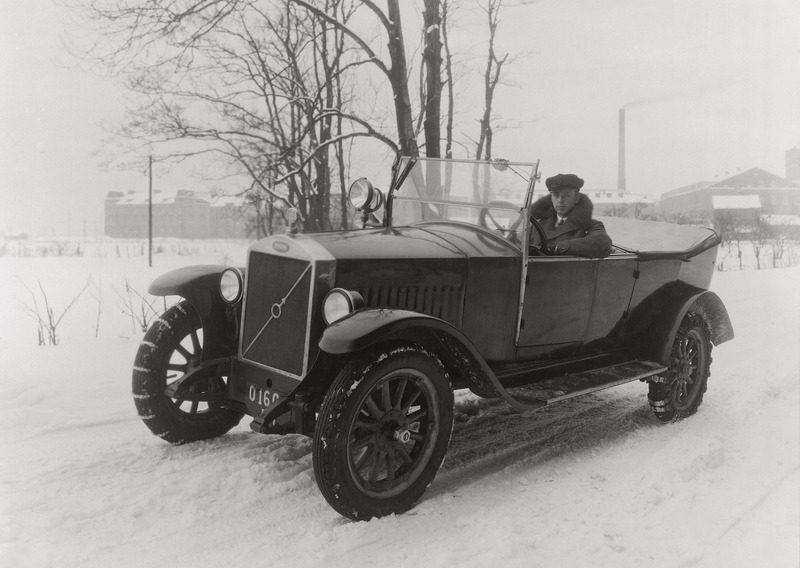 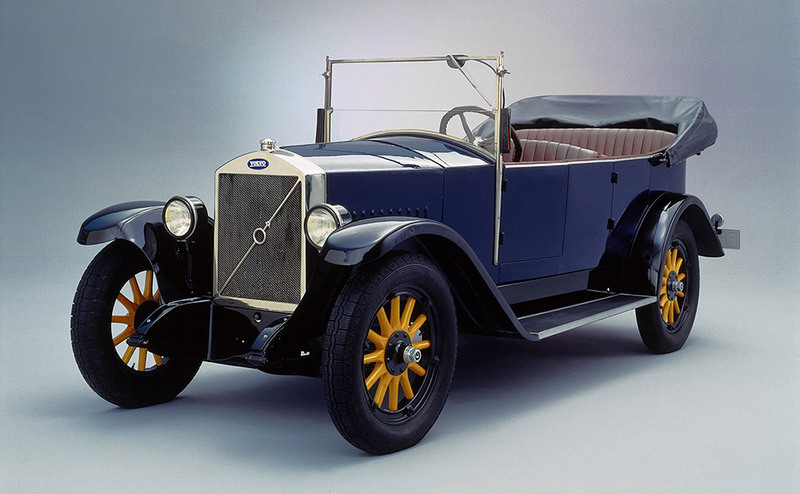 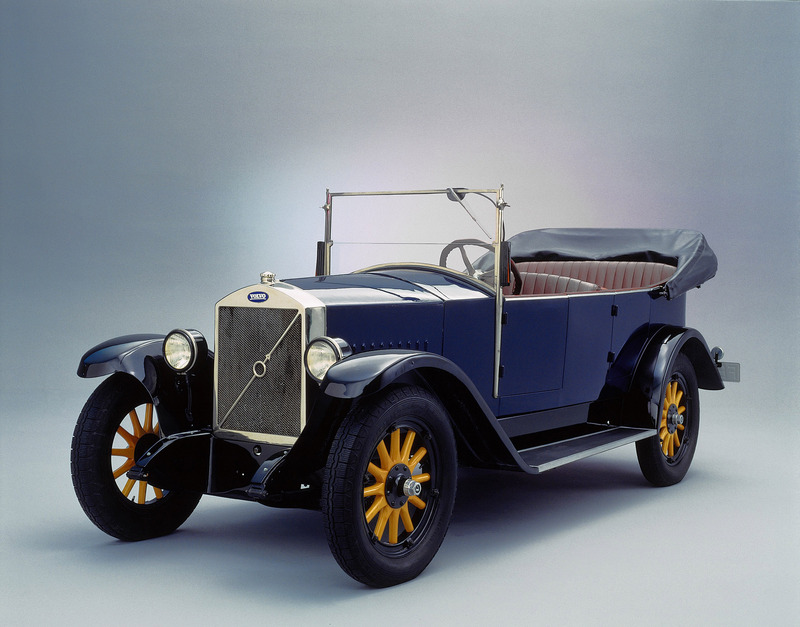 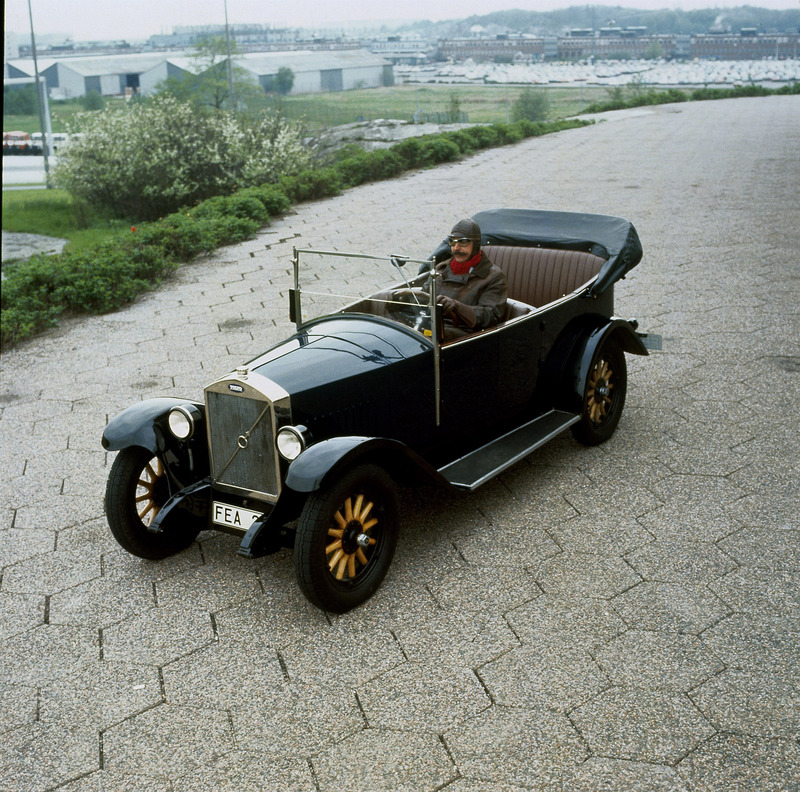 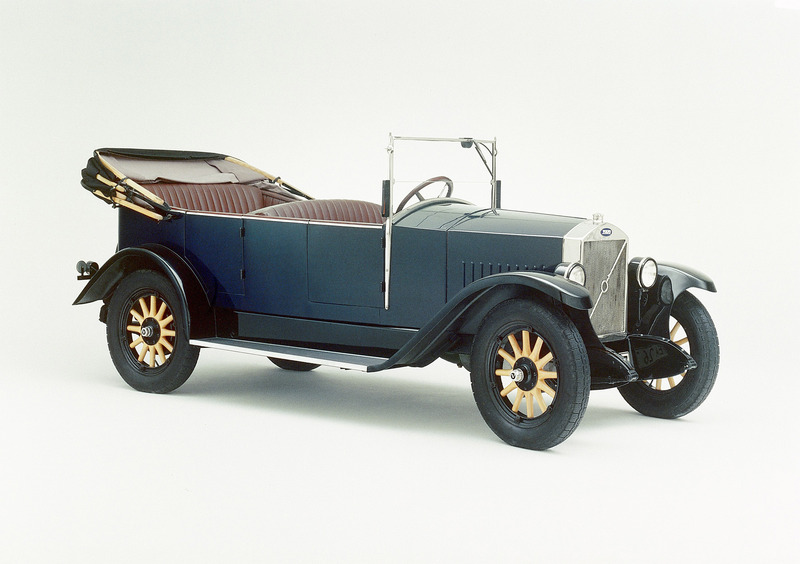 The ÖV4 is sometimes nicknamed "Jakob" because one of the ten prototypes built in 1926 had been called that.